Image: Jerritt Clark/Getty Images for Remy Martin. 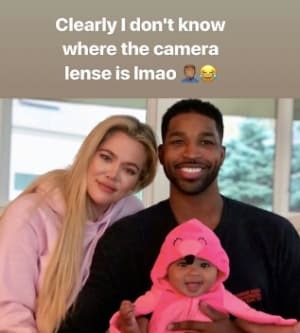 Khloé Kardashian is reliving some of the hardest and happiest moments of her life, as Keeping Up with the Kardashians dives into the cheating scandal that rocked her relationship with Tristan Thompson and her delivery of daughter True in an upcoming episode. In a recently released preview, Kim Kardashian West and Kris Jenner scrambled to get to get to Cleveland as Kardashian went into labor earlier than everyone expected. More: Khloé Kardashian Shamed for Leaving Baby True With… True's Dad? "I gotta go," Jenner told Kardashian West and Kourtney Kardashian in the clip. "I just moved the plane up, and I think she's in labor… The only thing that frightens me is that she's going to have this baby before I get there. And then she's giving birth alone." Though Kardashian West initially planned to stay behind for her 20-year high school reunion, she ditched the idea and took off with her mom. "You know, when there's something crazy that goes on in our family, we just always drop everything that we're doing and go be supportive to them," she said. "I obviously wanted to go to my reunion, and I wanted to make both work, but since my reunion is in two days, it's like, game over — it doesn't matter. I'm going to go to Cleveland and be there for her." We have a feeling everyone from high school already knows every minute detail from Kardashian West's life over the past two decades anyway. The episode, which airs on Sunday, Nov. 4, is going to be an emotional one for Khloé Kardashian. 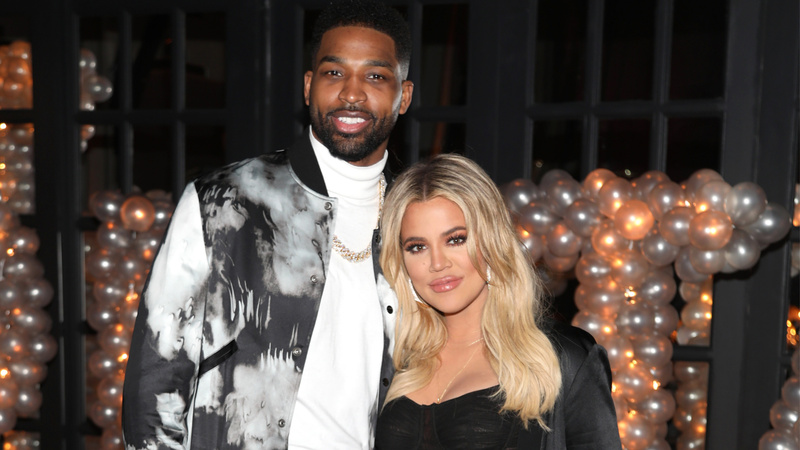 Earlier this week, the reality star revealed the show will finally air her initial reactions to rumors that her boyfriend, Tristan Thompson, cheated on her while she was pregnant. "I signed up for the show the [sic] for the good and the bad, right? The bad is very hard to relive but it's life," she shared with her 26.2 million Twitter followers. Sources told Us Weekly yesterday Thompson isn't thrilled about the upcoming episode either. "Tristan isn't happy that all of the cheating is going to play ou ton [sic] Keeping Up With The Kardashians after the scandal has already made his life miserable," the source said. That's pretty rich coming from the guy who allegedly cheated on his very pregnant girlfriend, but OK. Despite the source's additional claims the couple "isn't on solid ground," the two spent Halloween together in Cleveland with their daughter, who dressed as an adorable flamingo, which Thompson documented on his Instagram. No matter what happens in their relationship, it seems the most important thing to both parents is to keep their daughter happy and healthy. And this Halloween, that's quite a treat.